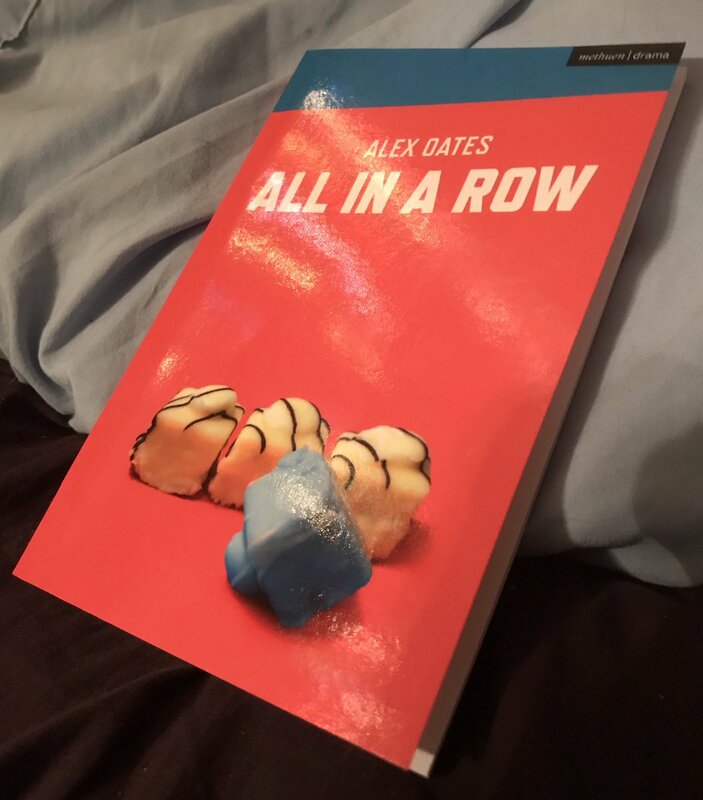 Image Description: a copy of the play “All in a Row” lying on a blue pillow. Okay, let’s start with the cover. My husband pointed out that the image has three upright cakes neatly lined up and the one blue cake that is fallen over. I assume that since there are four characters, the blue one is the autistic character. Out of place. Next you have big bios of all the cast and crew. Then there’s a two page preface written by Alex Oates and by golly he is TRYING. He uses identity first language (brownie points for that) and tries to explain everything including the puppet.